Founded under the name KMG Inc. in 2001 and renamed to crocon media in 2006, crocon media develops on-line and off-line applications and platforms, provides IT consulting and application development services (ADS) to Fortune 1000 companies in the advertising, broadcasting, media and web industries. This full range of on site, off site and offshore services, core products in content delivery and media, with separate practices in staffing, outsourcing, resolution and advanced technology services, also serves as a hosting ground to alliances and consortium groups seeking assistance, guidance and advice in the development and deployment of IT services and solutions. crocon media is dedicated to providing quality, innovative media and products that offer high value to our customers. 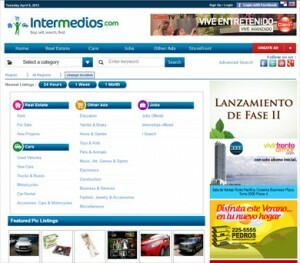 [interMedios-dot-com] The biggest classified ads platform for a panamanian company was done on the core of a GeoDesic Solution, built on one crocon media’s elite clusters. Around the core of the successful GeoDesic Solution, adjustments for target-marketing, advertising and local payment processing were developed. This website turned out after a few months to be one of the most visited classified ads platforms in its area. The provided webdesign was taken and adjusted from its raw design into a unique template, under aspect of a resulting multi-language platform. Furthermore Setup and Integration of OpenX server and ad-solution platform in combination of category-based advertising target marketing.